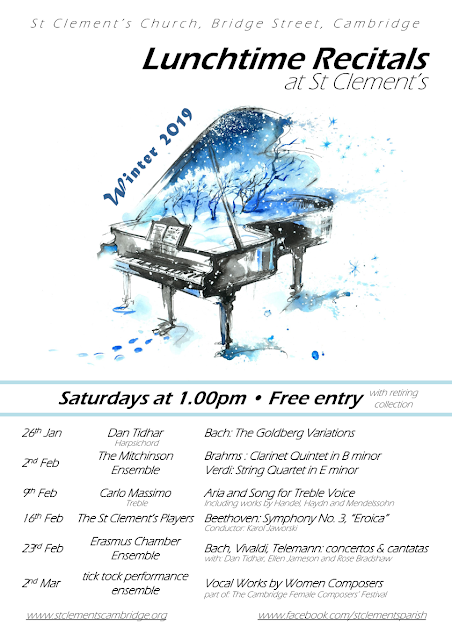 Join us this Saturday for the next concert in our Lunchtime Recitals series as we welcome the Mitchison Ensemble to St Clement's. Formed a number of years ago, and performing in both London and Cambridge, the group is now named after their founder Graeme Mitchison, who sadly passed away in 2018. 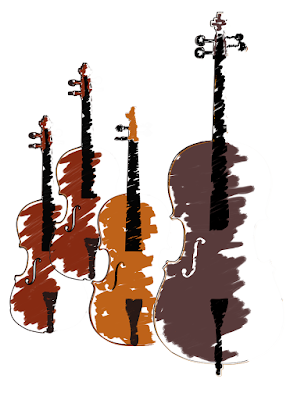 They will be performing two beautiful and contrasting chamber works: Verdi's String Quartet in E minor and Brahms's Clarinet Quintet in B minor. The recital begins at 1.00pm, and as ever, entry to the recital series is free, with a retiring collection supporting our recital series, and also contributing to our Organ Redevelopment Fund. All are welcome, we hope to see you there! Join us for the first of this term's evening choral services at St Clement's, as part of the Contemplative Eucharist series. We will be celebrating a journey through the season of Epiphany, from ancient prophecy, through Jesus's childhood, the wedding at Cana and the arrival of the Light of the World. The choir will be singing music by Palestrina, Handel, Mendelssohn, Tchaikovsky and Ireland, with readings from scripture, as well as poetry by Sansom, Rilke and Guite. The service begins at 5.00pm, and all are welcome. We hope to see you there. We're delighted to open our recital series this term with a performance of Bach's Goldberg Variations. Dan Tidhar will be performing on a beautiful two-manual harpsichord, his first of two appearances this term. 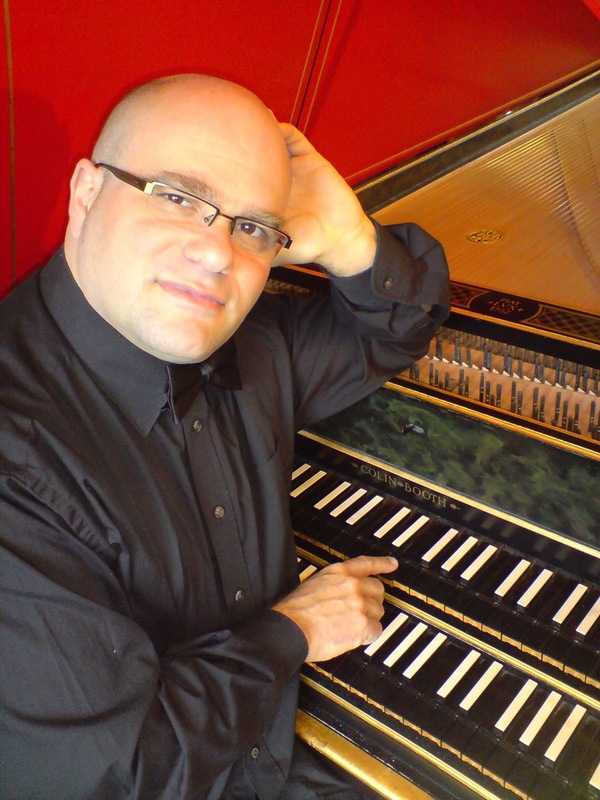 One of the most iconic and recognisable pieces of the baroque era, this is an excellent opportunity to hear this work in full in the generous acoustic of St Clement's Church. We're pleased to announce details of our forthcoming Lunchtime Recitals at St Clement's series for Winter 2019. We have an exciting line-up of performers, ranging from talented soloists and chamber ensembles, as well as a the return of The St Clement's Players and a partnership with the first Cambridge Female Composers' Festival. Our recitals are on Saturdays at 1.00pm, lasting about an hour. As ever, entrance to the recitals is free, with a retiring collection taken to support the recital performers as well as to contribute to our ongoing Organ Redevelopment Fund - currently standing over £2,000! We hope you can join us for some or all of these. Do keep an eye on our Facebook page for events with more details on each recital. Join us this Friday evening for our first Taizé service of 2019. We will be celebrating the season of Epiphany, with prayers, readings and chants in this theme. Our service begins at 7.30pm, and as ever, all are welcome. We hope to see you there!